How do you write a news story? News writing follows a basic formula. 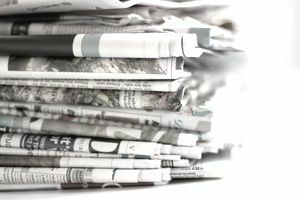 While styles can diverge more dramatically depending on the kind of story – a feature story may look and sound very different than a hard news story – all news stories are cut from the same mold. The first element of news writing is, of course, to deliver the news. Most people have heard of the 5 W’s, even if they’ve never taken a journalism class. The W’s in question, as you probably know, refers to the Who, What, When, Where and Why that every story should address. Depending on what the story is, how and when you answer those W’s may change. If, for example, you’re reporting on a drive-by shooting in a city, you’ll likely start with where the crime happened (what street or area of town for the local paper) and who was involved (if you don’t have names or the people are regular citizens, you might refer to notable affiliations if, say, the victim and presumed perpetrator were gang members). Figuring out what details to give a reader, and when, is key in constructing a story. The answer, of course, depends on the facts. If you’re working on the above story, and the murder happens to be one of a string of similar crimes, that may be the point you open the story with. A lede, which is a journalism slang term for the first sentence or two of a story (i.e. lead), is an incredibly important part of the process. You need to hook readers with your lede and, in some cases, relay the important parts of your story. You need to draw a reader in while stating why the story matters. Like all forms of writing, there’s no hard and fast rule about what makes a great lede. A good lede changes depending on the story you’re writing. One of the best ways to get familiar with what a good lede is is to read. Read lots of different stories – from breaking news stories to features and reviews. Ledes vary wildly but, you’ll start to notice patterns and, more importantly, what kinds of ledes you like and feel are effective. A nutgraf, another journalism slang term, is the summarization of what the story’s about. A nutgraf (also written with as “nut graf”) can be a sentence or a paragraph and, sometimes, may also be your lede. Needless to say, they're very important. A nutgraf needs to address why the story is being written, whether the piece is about something like the aforementioned murder, or a profile of a famous celebrity. The basics outlined above apply directly to all stories but, most obviously, to your classic news story. That said all stories have ledes and nutgrafs, no matter what they’re about or where you find them. These elements are applied differently, and often more subtly, in long-form journalism and feature stories, but they’re still there. All (good) stories have ledes and nutgraf. One of the best ways to see how the basic elements of news writing can be applied to wildly different stories is to read, back to back, three very different pieces. For good exercise, try reading the lead story in any major paper. The front page of a paper (online and in print) offers the biggest news stories of the day and there you’ll find straight, hard news. It might be local, it might be international. Then hit the features section of the paper. Check out The Arts section of the Times or, say, the Washington Post’s Arts & Living section, and read a review, then another trend story. Then read a piece of long-form journalism in a magazine like The New Yorker or Esquire. (In The New Yorker, nearly every article, save the reviews and pieces from "Talk of the Town", is an example of long-form journalism.) Now think about how different each piece reads. Find the nutgraf in each story and pay attention to how much each lede varies. Notice that some stories have nutgrafs that appear well below the lede, and others begin with the nutgraf. Notice how the nut graf is more obvious in the news stories than in the features or the magazine stories. All these stories rely on the basic elements of news writing but do so in different styles. This exercise is good for giving a sense of the breadth of journalism, and how differently the rules of news writing can be applied. Is There Sensationalism in News Reports? Is Tease Writing Critical to a Successful TV Newscast?